Official supplier of Major League lacrosse (MLL). 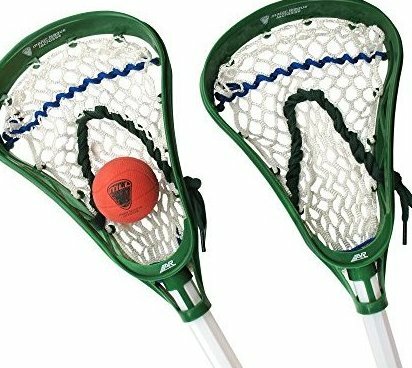 Two Mini 30 inch lax sticks & one rubber Mini lax ball. Soft mesh pocket, durable plastic handle and large head design for easy catching/throwing. Great for teaching young players or recreation. From A&R Sports, the leading Brand in sports accessories for over 20 years.